When the new group of bodies was taken from the site and reburied in a common grave on top of the hill, old bits of hearsay resurfaced. Remembering the Oriental-looking scraps of cloth that had been found in one of the earlier excavations, some people theorized that the cemetery was in fact a Chinese graveyard, even though at least one of the corpses had red hair. Another revived rumor held that the bones were those of smallpox victims and that the town was again endangered by their exposed remains. This conjecture proved as groundless as the other, as a July as, 1978, article in the Green River Star explained. For while Green River’s railroad workers had indeed experienced a smallpox epidemic between the 1860’s and the 1890’s, the victims had all been buried at the far end of the old cemetery and their graves had never been disturbed. What was disturbed, however, was the new library built upon the twice-excavated grounds. Almost from the outset, those who worked there described it as spooky place, and former maintenance man Ed Johnson confirms that there are still bodies underneath. “They called the coroner and started pulling the skeletons out.” He recalled. “But then they ran into a problem. Some of the bones were underneath the sidewalk and couldn’t be removed without tearing up the concrete. Since the landscapers didn’t want to do that, they dug up only parts of those bodies. “As I remember, first they dug out three adults-actually, I should say two and a half-because on one body they just pulled out the legs and pelvic girdle and left the rest. They also found one infant grave, and I believe they were able to take only the foot and shin bones from it. But the employees were not so amused by the strange actions of the security one evening in the late summer or early autumn of 1986. “People leaving the library have to pass through a gate,” Helen explained, “and if a book isn’t checked out properly, an alarm goes off. There is, however, a bypass which allows people in wheelchairs to leave without going through the gate. The bypass is a little higher than waist level, and it’s made of wrought iron. Obviously it can’t be too heavy if a wheelchair has to pass through it, but it wouldn’t blow in the breeze, either. “One night two of my staff were the only ones left in the building and at ten minutes to nine, they were getting ready to close up. Each one was at least fifteen fet away from this bypass, but all of a sudden, it slammed as hard as it could, swung open again, and then oscillated back and forth for several seconds until it came to a stop! It acted as if someone had smashed into it as hard as he could, but nobody ws even near it. Libraries are an amazing place. We house books, Books-on-Cd, Playaways (pre-loaded MP3’s), CD’s, DVD’s and more. Our shelves are stocked with information for enjoyment and research. The genre of paranormal is one of our patrons favorites. 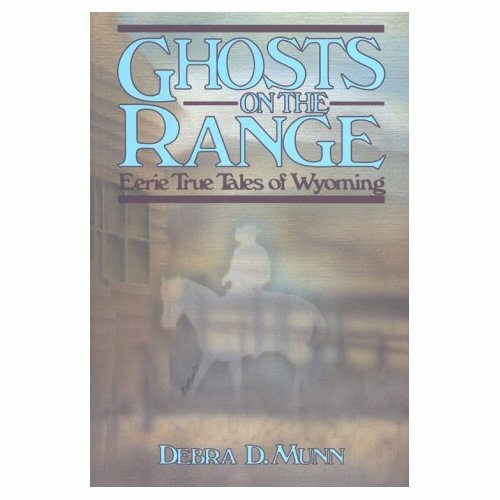 Our number one paranormal based book to “fly” off our shelves is Ghosts on the Range by Debra D. Munn. This book was first released in 1989 and Ms. Munn was gracious enough to come to our library for a book reading. It was well attended by many of the locals. Included in her book are stories from across Wyoming. Here is the excerpt from her book regarding the Sweetwater County Library. 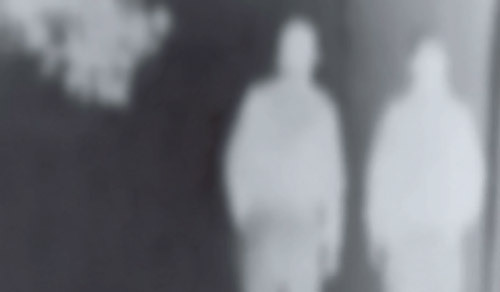 If you think that ghosts inhabit only old, run-down buildings, think again. The Sweetwater County Library in Green River was opened as recently as 1980, yet it appears to be one of the most haunted spots in Wyoming. And no wonder, when you consider that is was constructed on top of the city’s oldest cemetery. Many of Green River’s earliest citizens rested peacefully but anonymously in unmarked graves until 1926. When the grounds were needed for town expansion, however, the bodies were all supposed to be exhumed and moved up the hill to the current cemetery. Marna Grubb, now the mayor/secretary of Green River, was one of the many curious children who came to watch the gruesome procedure. “Some of the kids on their way to school actually took rings and other things right off the corpses!” she said and shuddered. “I saw only one of the bodies myself, but that was enough. He was just a skeleton, wearing an old western-style, fringed leather jacket. And that was strange was that he still had a red beard. When housing for veterans was constructed in the area during World War II, it soon became obvious that not all the bodies had been exhumed in 1926. As more remains were discovered, they too, were re-interred in the new cemetery. After the veterans’ residences were no longer needed, the old cemetery grounds were left alone until 1978, when the library purchased them for the site of its new building. As soon as the groundbreaking began, however, workers made yet another grisly discovery: according to architect Neal Stowe of Salt Lake City, from eight to twelve more bodies were found in unmarked graves! “A heavy Caterpillar was going back and forth, loosening and moving soil,” he explained. “I walked right through the middle of the site, where something that looked like a deteriorated coconut was sitting on top of some freshly churned dirt. I picked the think up, turned it around, and recognized it as part of a skull. Little tufts of dark brown hair were still clinging to it.